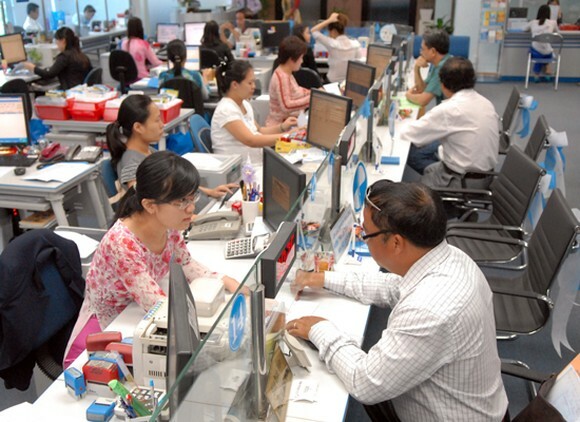 The State Bank of Vietnam (SBV) has tightened credit flow into the real estate sector which has been in an uptrend since early this year while HCMC Real Estate Association has warned of a virtual fever in property prices in some districts. Credit growth rate reached 4.06 percent by the end of the first quarter this year, the highest rate for the last six years, SBV reported. 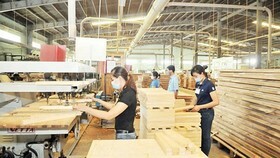 Production and trading credit was still high accounting for 80 percent of total outstanding loan. Meanwhile, non-production fields has been in uptrend. 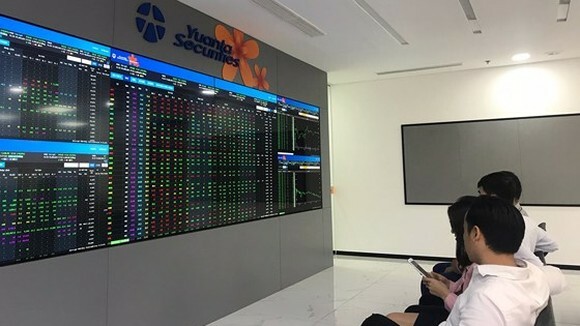 SBV branch in HCMC said that the city saw outstanding loans total VND1,518 trillion (US$67 billion) by the end of March, up 3 percent compared to the end of 2016 and 19.5 percent over the same period last year. 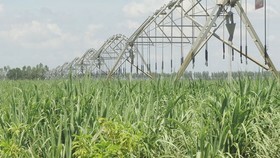 The branch also reported a recent increase in credit flow into non-production fields comprising real estate and stock. 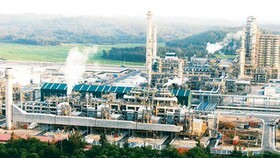 A branch leader said that despite remaining high, credit to production and trading has reduced. At present, the field holds 75-78 percent of total outstanding loans, lower than 80-83 percent before. The branch has required credit instituions to seriously abide by regulations as well as directions on banking operation in 2017. Since early this year, SBV has implemented some policies to tighten real estate credit but commercial banks have offered consumer credit packages for housing purchase and repair. Some banks have extended loan time limit to 20 years to lure customers. Still, banks have limited loaning investors of property project because the ratio of using short term funds for medium and long term loans has dropped from 60 percent to 50 percent since early this year. Meantime, the risk ratio for receivables from real estate activities has increased from 150 percent to 200 percent. 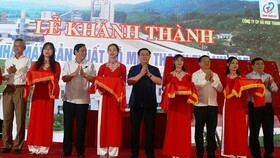 The Ministry of Construction has reported that the number of real estate transactions in March rebounded after a slowdown during the Tet holiday. 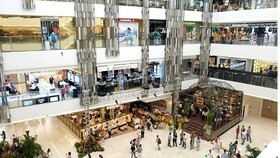 Hanoi saw an increase of 17 percent over February while HCMC posted 22 percent hike. In general, the market continued developing in the first quarter with transactions concentrating in middle and high grade segments. CBRE Company said that all apartment segments witnessed a price surge. The strongest increase was in high grade and luxurious segments with 8.4 and 12.3 percent. The secondary market saw a rise of 0.5 percent per year on average. Reporting to the Prime Minister about the real estate market in the first quarter, HCMC Real Estate Association said that the market still contained implicit risks. Bank loans and social funds invested in the field has been high but leaned to some large companies, high ranking products and resorts. Notably, secondary investors in the high grade segment rose to top 60 percent. 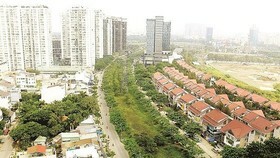 There was a virtual fever in the prices of housing land plots in Districts 9, Thu Duc, Binh Tan, Nha Be, Binh Chanh, Hoc Mon and Cu Chi in HCMC. Experts claimed that when credit runs into real estate purchase and sales to make profit, it will not contribute much to economic growth. Although banks have offered low interest packages for individual house buyers but the incentive has been for early months or lasting one year at the longest. Afterwards, interest rate has traditionally been floating and slowly reduced by banks. At that time, house buyers will face many risks posing bad debt increase possibility. The experts suggested tightening destinations of credit flows to increase efficiency and minimize risks. Deputy Director of SBV branch in HCMC Nguyen Hoang Minh said that the central bank had required banks to focusing on handling bad debts including those in the real estate field and lower the rate to below 3 percent by the end of September. The bank has also asked banks to keep real estate credit growth rational at about 10 percent as it was for the last two years and ensure positive market development. In the upcoming time, SBV would control credit size to suit norms and directions of the banking system, improve credit quality and facilitate capital access for production and trading firms and those from priority fields. Especially, it underlined the close control of credit in fields with latent risks such as medium and long term loans for large customers, real estate credit and traffic projects under BOT 9Build-Operate-Transfer) and BT (Build-Transfer) forms. According to the National Financial Supervisory Commission of Vietnam, real estate credit slowed in 2016 growing only 12.5 percent, much lower than 28.5 percent in the previous year. However it was formerly estimated to grow 39 percent compared to the end of 2015, accounting for 11.4 percent of total credit and higher than the 9.8 percent of 2015. Of the total credit last year, nearly 50 percent of consumer credit runs into house purchase and repair with payment source being borrowers’ wage.